There were 2861 apparent opioid-related deaths in 2017 and that number is expected to increase to approximately 4000 deaths in the coming year. The question is: Can this number predict at all how many new resources will be needed to improve the prevention of opioid-related deaths? Will we be able at least to stem the tide of what seems to be a worsening situation? The data collected by the Government of Canada should be causing alarm in Canadians, but I wonder if we are becoming immune to alarming headlines. I am personally feeling overwhelmed by everything that I ought to feel alarmed about so, as my obsessive little way of managing, I am going to try to manage one or two alarming things that are problems that will affect my practice and the programs in my department. The opioid crisis is one of these since it is quickly becoming a big problem for those of us working in youth mental health. Let me tell you what alarms me about opioids in youth psychiatry. First, consider that there are 16 opioid poisonings daily in Canada that lead to hospitalization. That is a 53% increase in hospitalizations for opioid poisonings over the past 10 years. Of that increase, 40% of the hospitalizations have come in the past 4 years, since fentanyl began to be important as a painkiller and drug of abuse in Canada. 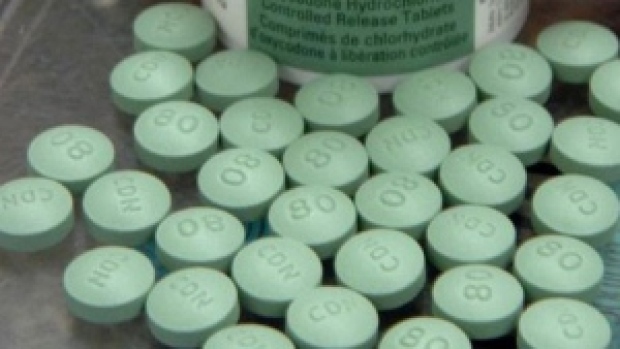 Of the opioid-related deaths in Canada analyzed this year, 74% have involved fentanyl. The 15-24 year old age group has the fastest growing rate of both opioid-related deaths and opioid-related hospitalizations. Also, an analysis of the hospitalizations shows that 31% of these are related to a suicide attempt. The fentanyl reaching Canada from China may be used more for a suicide attempt than for any other purpose – not that I believe there is any good purpose for it! Globe and Mail reporters Karen Howlett and Andrea Woo have done some great work on fentanyl, and I urge everyone to read their articles. With so many youth suicide attempts linked to fentanyl, the public health response must reach out to youth directly. Here in Ottawa, Ottawa Public Health has developed a program for schools, which is a good step. Other Canadian cities are doing the same, and yet this crisis is still expected to deepen, as if there is no way to stop, or even halt, the burgeoning mental health crisis. I believe that it is time to ask young people in Canada what more can be done to improve their mental health, especially since we do not have time to develop the system needed to treat their mental illnesses. The world that our young people live in, that drives them to suicide, needs to change but we need to ask them what would help. For example, it is not uncommon in psychiatry for us to relegate patients with substance use disorders to their own little corner, saying that they must manage this condition before the mental health condition can be managed. Honestly, so many youth with mental illnesses are now doing their own medication trials with whatever substance they can find that this no longer makes sense. I can write Prozac prescriptions hoping they’ll be used but it doesn’t help when the fentanyl can be shipped across the country by Express Post. See the Globe and Mail reference if you think this is an exaggeration. It makes more sense for all of us assessing and treating mental illness to just accept that most of our patients have Concurrent Disorders. It is also time to acknowledge that fentanyl, the flagship drug of the opioid crisis, is now commonly used to stave off the symptoms of mental illness and, if that doesn’t work, to kill yourself. I asked at the outset whether the numbers of opioid-related deaths in Canada could be used to predict what resources will be needed to prevent these deaths. In fact, all this evidence tells us, and what we can see from the British Columbia and Alberta experience where the crisis is further developed, is that we can never be ready for the impact of fentanyl. In the world of youth mental health, the opioid crisis is an invisibility cloak for the mental health crisis, and most of us do not make the mistake of confusing the two. In my little corner of the world, I am going to be trying to convince everyone I can of the need to avoid fentanyl and opioids in general. I am going to try to catch whichever overdoses I can. I am going to support every single addiction and rehabilitation measure governments see fit to introduce. There will not be too many resources – the evidence is that there will never be enough. Sad, when a patient has perfectly responsible family willing to help and yet because of privacy act a sick patient is left to fend for him or herself in the confusion of their mental crisis. Many deaths could and should have been avoided . Thank you for the excellent blog. Issues with concurrent disorders don’t only apply to youths. In our group, Moms Stop The Harm, most of the loved ones we mourn had mental health issues that contributed to their drug use, including our own son Danny, who is featured in the Globe and Mail article you reference. I have shared your blog on our Facebook page (https://www.facebook.com/MomsStopTheHarm/) and internally with members. It resonates and your closing paragraph encourages me. I hope all health care providers would share your view. Thank you for your reply and for the blog – it is important for patients, family and healthcare providers to work together on these concerns and I am pleased to be introduced to your important work. All the best!